I am so excited that our baby G will coming in just 2 week. Oh boy! I did not pack for the hospital bag yet! 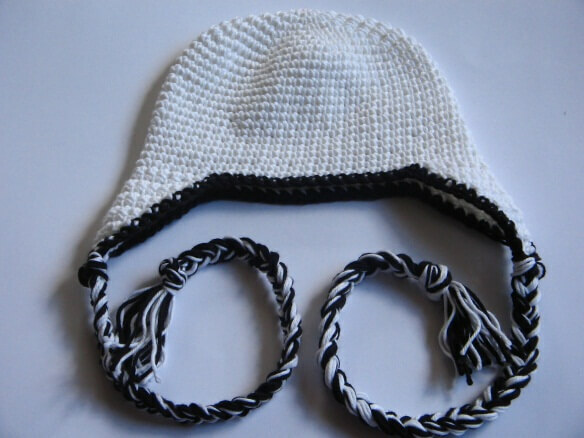 Well here today just another fun baby boy theme hat crochet pattern. They are in the bear family, guess what is it? 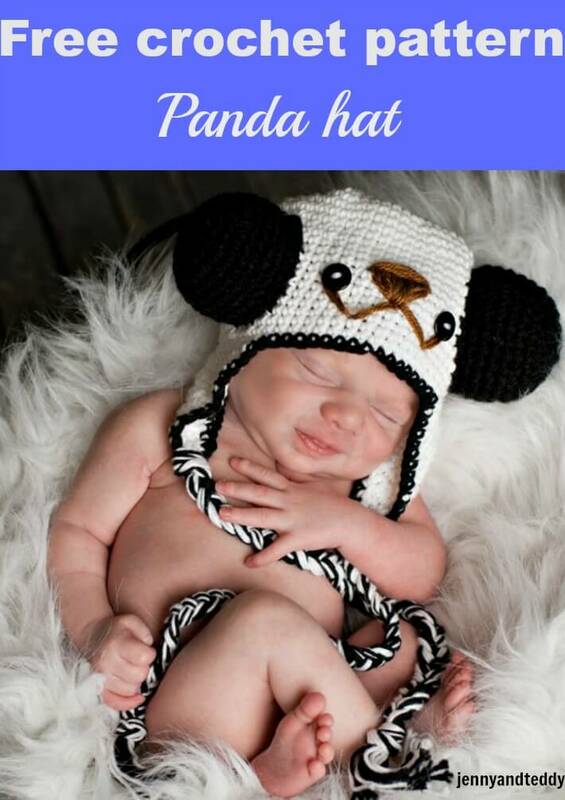 It’s a Panda bear.These hand crochet hat by you would not only make wonderful gifts but are also great wardrobe and their first photo shoot. 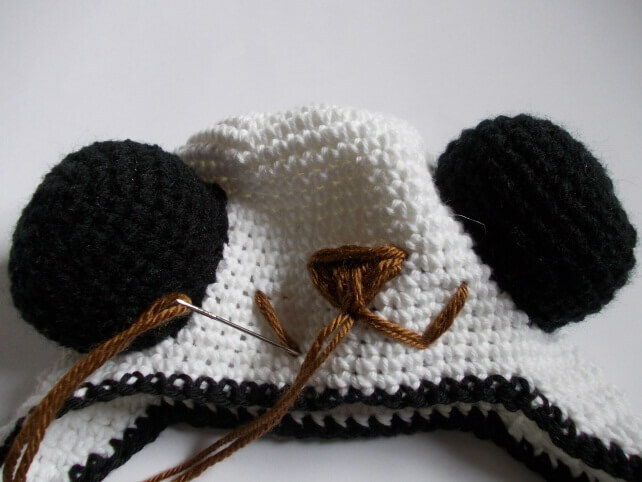 Are you ready to make this cute crochet panda hat for your little one as well? Special thanks to Jennifer jayne photography for this cute photo! MC: weight of yarn to be use 50 grams/110 meters. 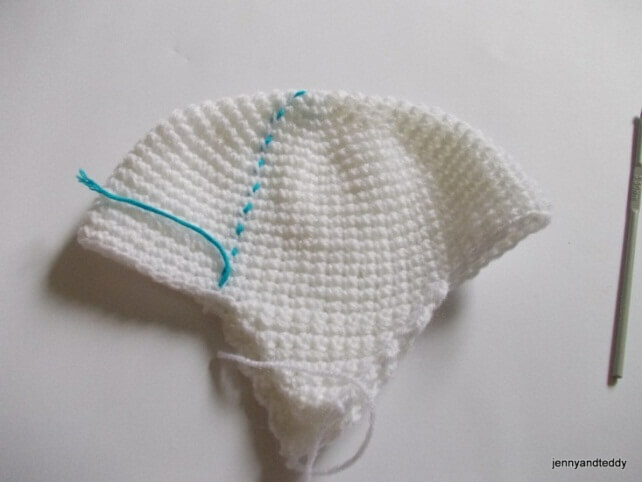 Sample using Marvel Brand Moda Vera 50% acrylic, 50%cotton) You can substitute any yarn that gives you gauge. Rounds 9 – 22. Sc in each st around (56 sts). Finish off. Round10-24. Sc in each st around (64 sts). Finish off. Round12-26. Sc in each st around (80 sts). Finish off. Row11. Sc in next 5 sts, (6sts) fasten off. Join MC at second marker with sl st and repeat as above for second earflap. Join CC at any st along the edging with sl st and work sc around the edge, including the earflaps. Fasten off. 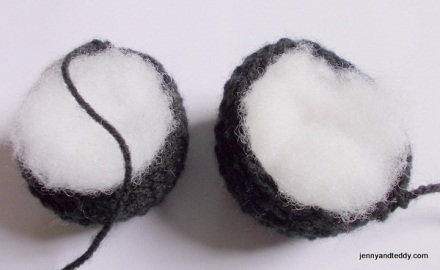 With CC, loop yarn into approximately 18-20 inch long loops as shown in the picture. Finish off and leave long tail for sewing. Then stuffing polyester firmly. 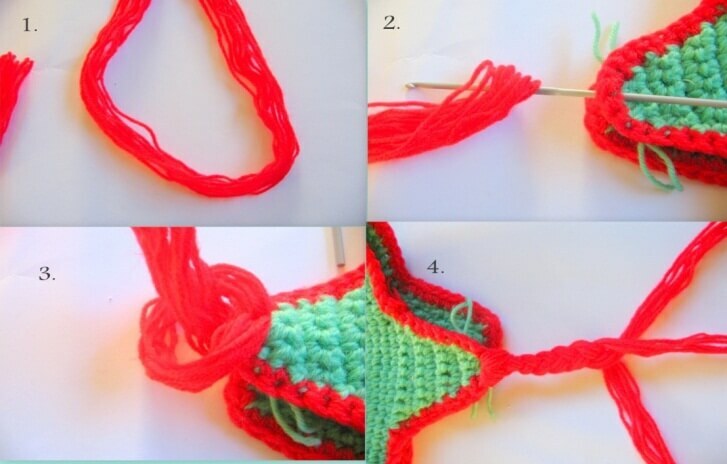 Attach ears and eyes using yarn needle. Adorable hat! Love the big panda ears. 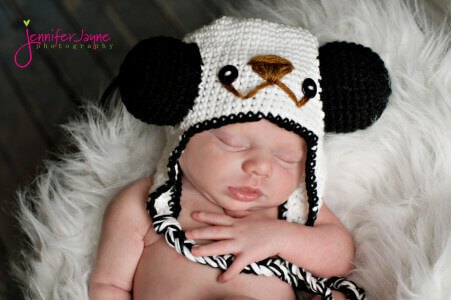 This little hat is so sweet and so is your model! Thanks for sharing with Creative Spark Link Party. Hope you join us again tomorrow. Glenna @ My Paper Craze would like you to read..Zipper Die Kid’s Interactive Birthday Card! This is adorable! 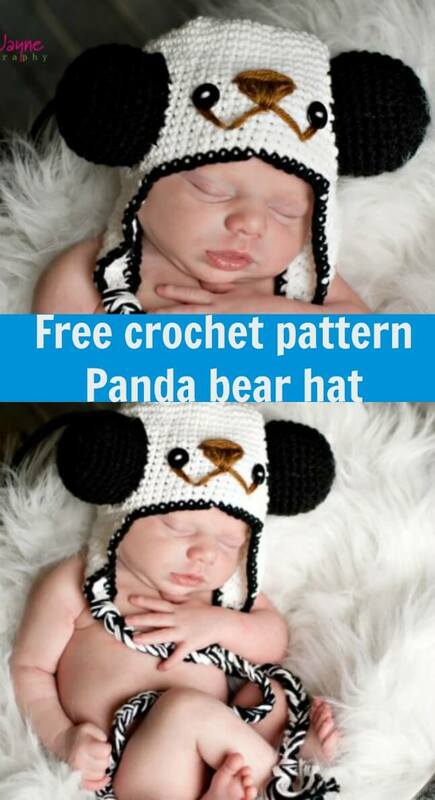 I love hats like this for little babies. Thanks for sharing with Hump Day Happenings! This is so adorable! Thank you for sharing your pattern!